We can help you determine if you qualify for a subsidy. We have exclusive products just for REALTORS®. We are here to help you, not sell you. And now, we’ve saved the best for last in this final part of our series. Many find health insurance to be confusing. From purchasing a plan to filing claims, it can be a hassle. Yes, you can find help just about anywhere right now to purchase your coverage, but what about later in the year, when you have questions? Or something unexpected happens and you’re not sure what to do next about your claims? 5. We are there for you after the sale. Our enrollment specialists can help you with your questions and concerns not only during the enrollment process, but after enrollment, too; a Government Navigator with no ties to the insurance companies would not be able to assist you after enrollment. In the beginning of 2013 Open Enrollment, a member enrolled into a Qualified Health Plan via the Members Health Insurance Exchange. She was mid-pregnancy and began using her new plan once it became effective. Come to find out, there was a change in provider networks and the doctors she’d been seeing were no longer ‘in-network’ providers. This resulted in $5,000+ of claims being denied by the carrier. Thankfully, she turned to REALTORS® Insurance Marketplace. Our Member Support Advocates worked directly with the carrier on her behalf. In the end, the carrier processed the claims as if they were ‘in-network’ claims. If she had enrolled in a plan through the government marketplace, how would this situation have been handled? We want be there for you year round. Other marketplaces don’t offer the support REALTORS® Insurance Marketplace offers to NAR members. Ready to get covered for 2015? Click here to shop and enroll online on your own. If you prefer speaking with an enrollment specialist, call 877-267-3752 for personal assistance. We know that shopping for health insurance is difficult. It’s not like shopping for groceries, where you can usually judge fruit or clothes by how they look or fit before you make your purchase. 4. We are here to help you, not sell you. Our talented and friendly staff will never pressure you. In fact, that’s one thing we pride ourselves on most. Instead, we answer your questions, walk you through your options, and provide the information you need. Consultations for NAR members are always complimentary; we are sincerely interested in helping you understand all of your options and finding the best insurance that fits the needs of you and your family. Stay tuned next week for the final part of this series: Why Should I use REALTORS® Insurance Marketplace? Did you miss the first three reasons? Click here to read previous blogs now. 3. We have exclusive products just for REALTORS®. REALTORS® Insurance Marketplace understands the unique needs of REALTORS®. We provide members with products that complement health insurance, such as REALTORS® Core Health Insurance, REALTORS® Dental Insurance, and more. These value-added plans are just for NAR members and do not appear on government-run exchanges or insurance company direct marketplaces. They are group plans that are only offered to NAR members, and are only offered through the REALTORS® Insurance Marketplace. 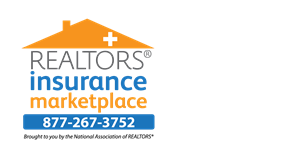 Keep a watch out for more products to come in 2015 from REALTORS® Insurance Marketplace, that are designed with REALTORS® like you in mind. Stay tuned for the next part of this series: Why Should I use REALTORS® Insurance Marketplace?